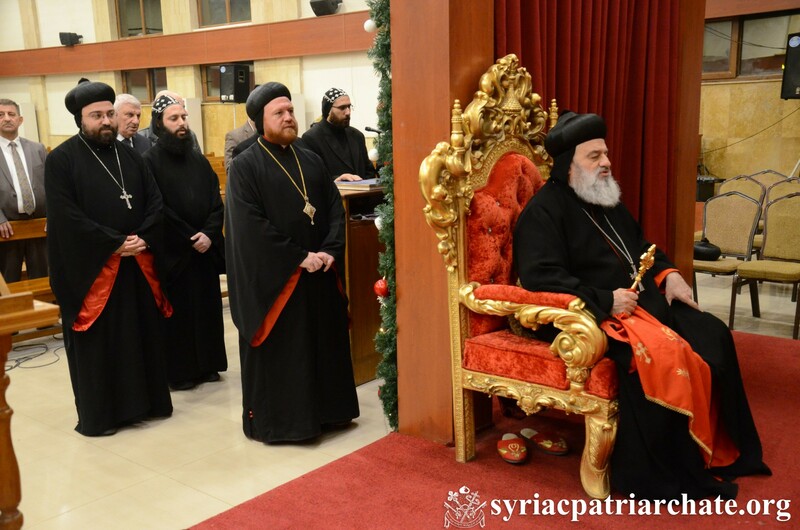 A reception in honor of His Holiness was then organized by the parish.Click to view slideshow. 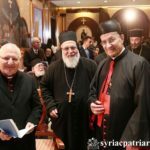 On January 22, 2019, His Holiness Patriarch Mor Ignatius Aphrem II, along with their Beatitudes: Cardinal Mar Bechara Boutros Al-Rai, Patriarch of Antioch and All the East for the Maronite Church, and Mor Ignatius Youssef III Younan, Syriac Catholic Patriarch of Antioch, Cardinal Mar Louis Raphael Sako, Patriarch of Babylon for Chaldeans, and Rev. 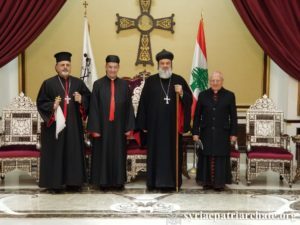 Dr. Habib Badr, Senior Pastor of the National Evangelical Church of Beirut, presided over the prayer for the unity of the Church, held at St. Severus the Great Church at the Patriarchal Residence in Atchaneh, Lebanon. On January 22, 2019, His Holiness Patriarch Mor Ignatius Aphrem II inaugurated the sessions of the Executive Committee of the Middle East Council of Churches (MECC), hosted by our Syriac Orthodox Church on behalf of the Oriental Orthodox Family of Churches, and held at the Patriarchal Residence in Atchaneh, Lebanon. 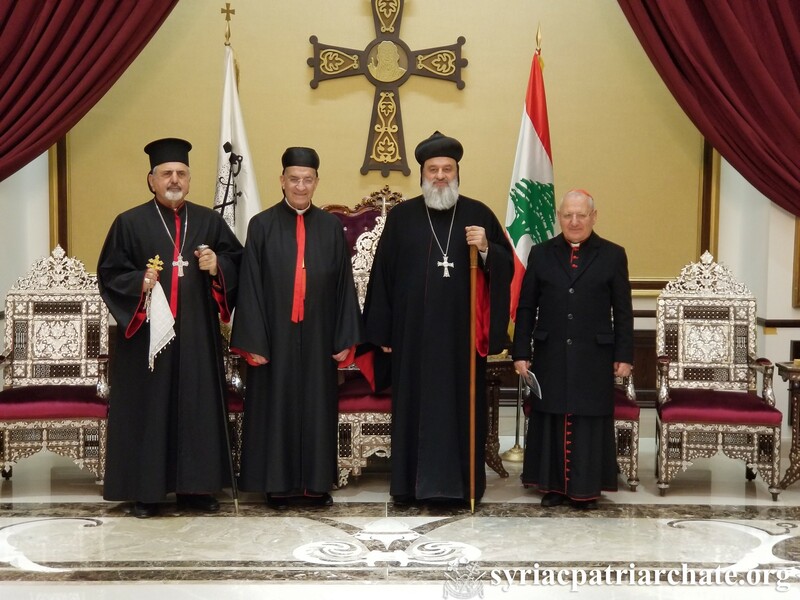 His Holiness, along with His Beatitude Cardinal Mar Louis Raphael Sako, Patriarch of Babylon for Chaldeans, Rev. 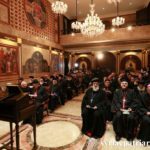 Dr. Habib Badr, Senior Pastor of the National Evangelical Church of Beirut, and Dr. Souraya Bechealany, Acting Secretary General of MECC, presided over the inaugural session. His Holiness opened the session with prayers and chants from the Syrian tradition. Prayers from the different Church members of the Family of Oriental Churches were then raised. 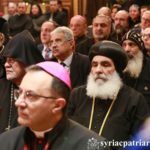 A video for the commemoration of the Late Archbishop Anba Bishoy, member of the executive committee was then screened. In his inaugural speech, His welcomed His Beatitude and their Eminences and Excellencies as well as all who are present at the patriarchal residence. 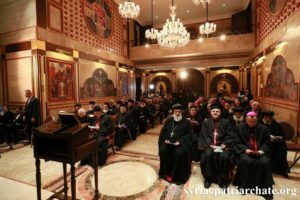 He spoke about the common challenges facing the Churches in the Middle East. He also emphasized that Christians should always seek peaceful coexistence with other components of the societies. 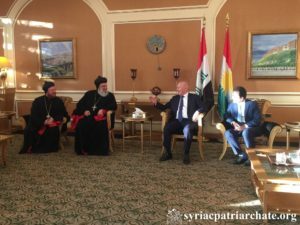 His Holiness considered that Christian leaders should meet continuously and unify efforts against extremism and terrorism, and work altogether to spread the Christian values and morals. 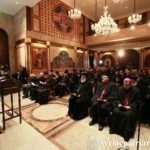 His Holiness also raised several questions about the Divine Justice, that they may be discussed during the theological panel to follow. 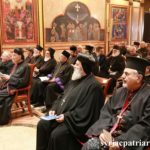 He also hoped that the MECC may be able to reach common answers for the various questions, as well as to reach to celebrate altogether all Christian feasts, and to unify the witness for the one Holy Church of the One Almighty God. 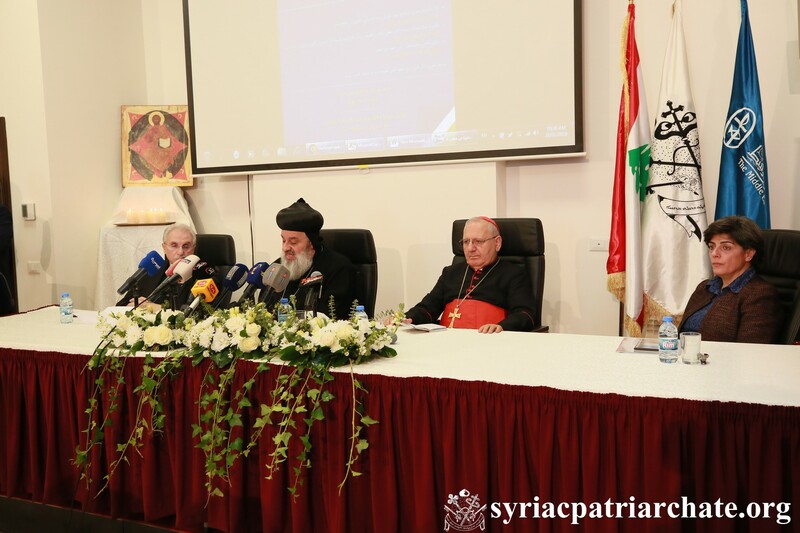 Dr. Bechealany gave a welcome speech in which she thanked His Holiness and the Syriac Orthodox Church for hosting the meeting, and spoke about the aims of the MECC. She stressed that justice is the stone on which peace and stability are built. 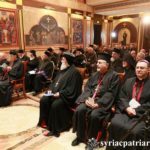 A theological panel about justice then took place. His Eminence Mor Theophilus Georges Saliba, Archbishop of Lebanon and Member of the Executive Committee of MECC, and Rev. Fr. Jimmy Danho, Associate General Secretary of MECC for the Oriental Orthodox Churches Family, were also present. 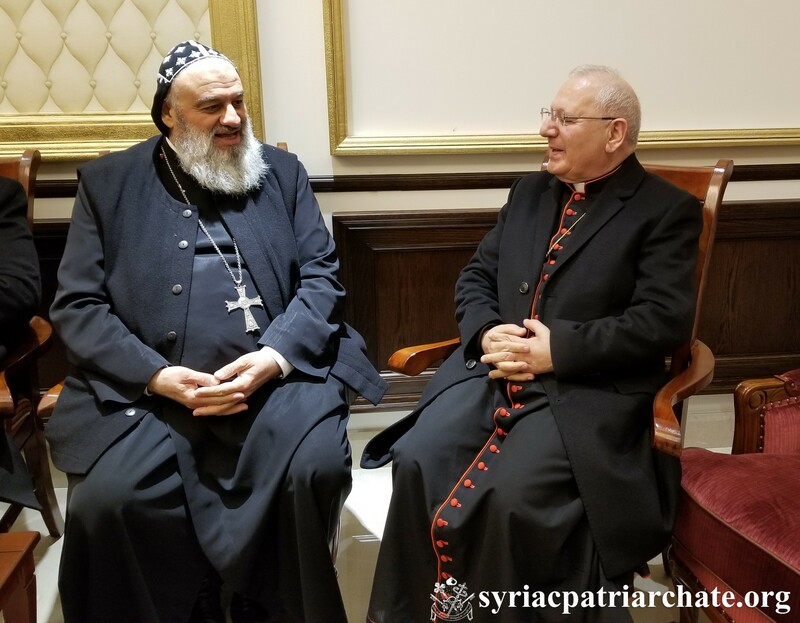 On January 21, 2019, His Holiness Patriarch Mor Ignatius Aphrem II received His Beatitude and Eminence Cardinal Mar Louis Rafael I Sako, Chaldean Patriarch of Babylon, at the Patriarchal Residence in Atchaneh, Lebanon. 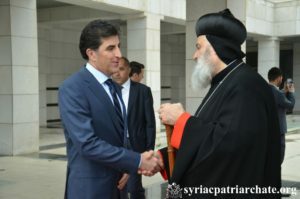 His Holiness warmly welcomed His Beatitude and had a cordial meeting with him. 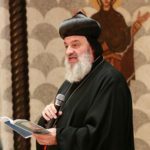 His Beatitude, along with His Holiness, will preside over the meetings of the Executive Committee of the Middle East Council of Churches (MECC), hosted by our patriarchate and held in the coming two days at the Patriarchal Residence in Atchaneh. 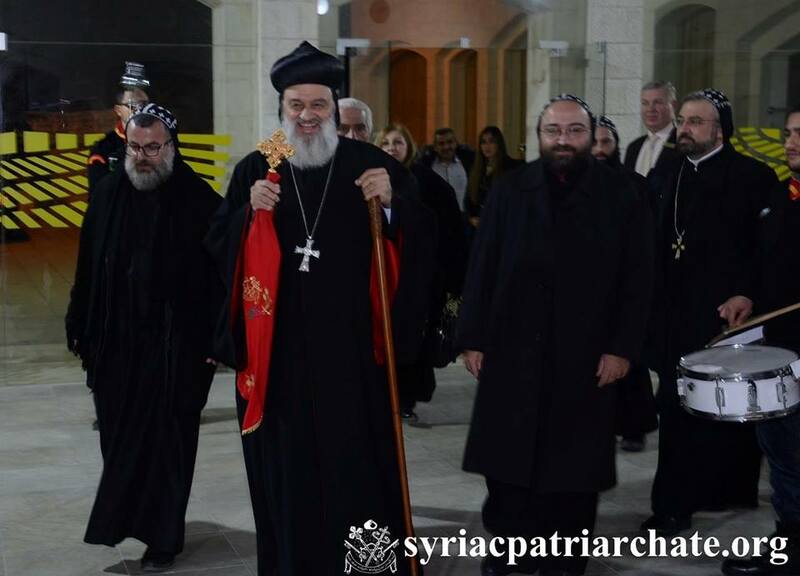 On January 20, 2019, His Holiness Patriarch Mor Ignatius Aphrem II attended a reception held in honor of his first apostolic visit to Amman – Jordan at St. Aphrem Cathedral. 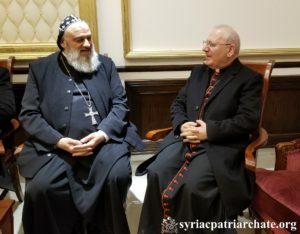 Their Eminences: Mor Severius Hawa, Archbishop of Baghdad and Basra, and Mor Timotheos Matta Al-Khoury, Patriarchal Vicar in the Patriarchal Archdiocese of Damascus, as well as Very Rev. 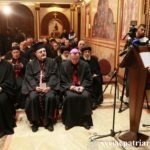 Raban Gabriel Dahho, Patriarchal Vicar in Jerusalem, Jordan and the Holy Lands, the Reverend clergy and deacons, and a large crowd of the faithful of our church, attended the ceremony.